Thomas: This is a Clifton. 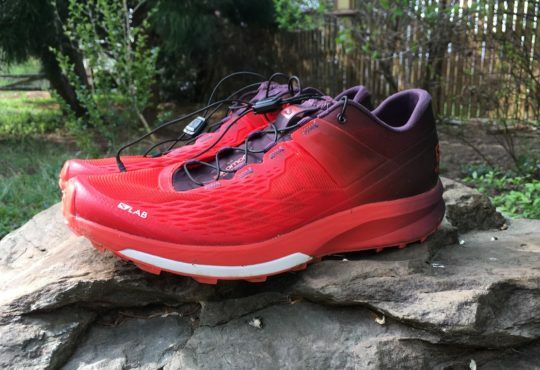 We will call it by its name HOKA Napali for the sake of the review, but know that we are talking about the Clifton 3.5 or what the Clifton 4 should have been. 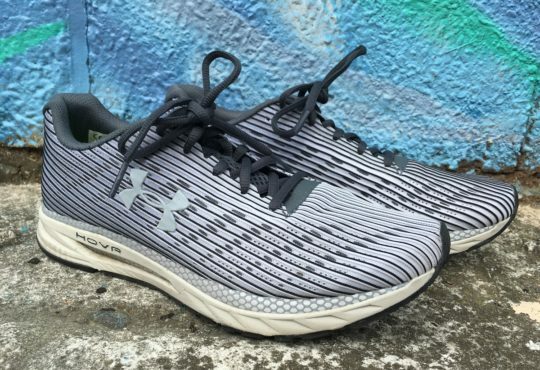 The Napali has the same midsole and outsole as the Clifton 3, but the upper is improved with a simplified design using a highly breathable mesh. The Napali at 9 oz. is 1.8 ounces lighter than the Clifton 4. Smack me sideways! Seriously, almost 2 oz. lighter! So let me sum it up so far, the Napali has the same midsole as the Clifton 3 with a better upper than the 4, and it is lighter. OH WAIT! It is $30 cheaper. The Napali retails for $99.95 while the Clifton 4 is$129.95. 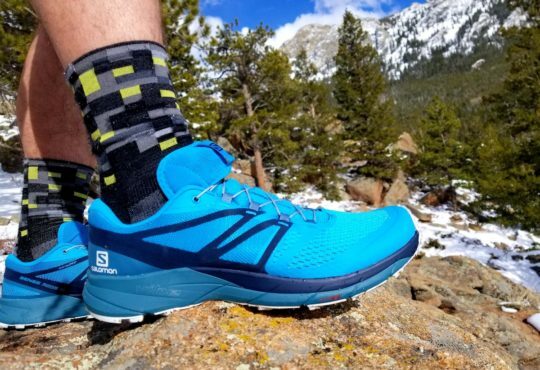 If you haven’t run in the Clifton/Napali before, the characteristics are loads of cushion in a lightweight package that you can run fast in. It is a fantastic shoe at any distance. This March Meg and I will be running a 50k in the trail version the Napali ATR. The shoe has a meta rocker design, in laymen’s terms, it is designed to land then roll off the toe for a super smooth stride. 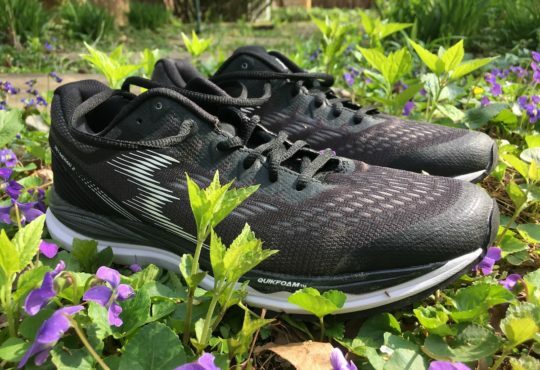 They were in a class of their own for a long time; now a couple of shoes have come along with some similarities including the Skechers Ride 7 and the Nike Vaporfly 4%. 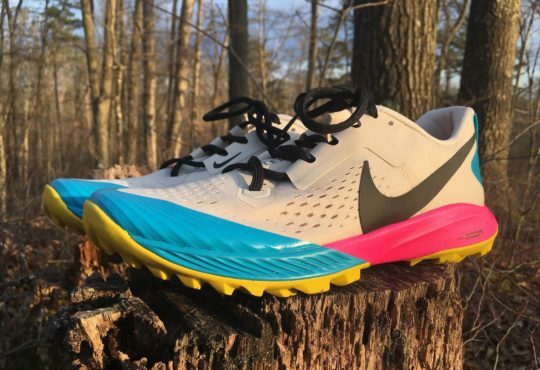 Did I just say the Nike Vaporfly 4% has some similarities to the HOKA?! I did. Feel free to ask me or argue about that in the comments. Meaghan: YOU GUYS! The Clifton 3 is back and better than ever! 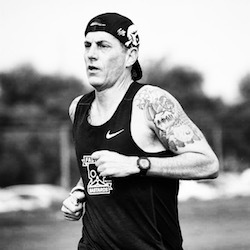 Don’t be fooled by the Napali title (…wtf, HOKA?). This is a better looking, barely-but-slightly updated Clifton 3. 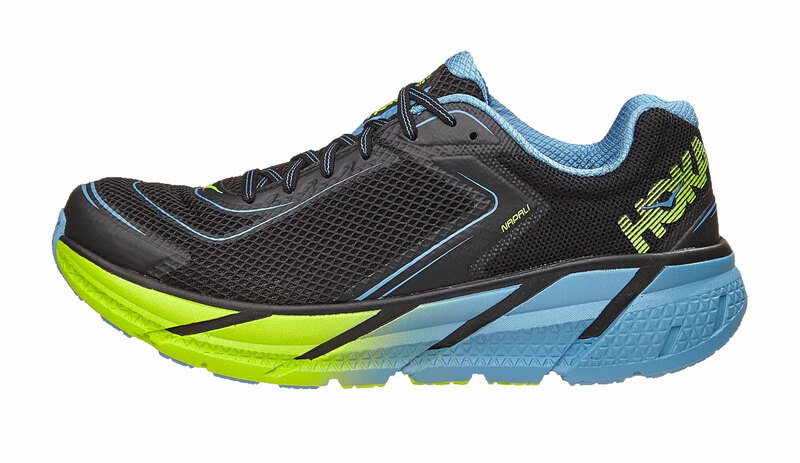 It’s your daily trainer that lives up to HOKA cushioning expectations. 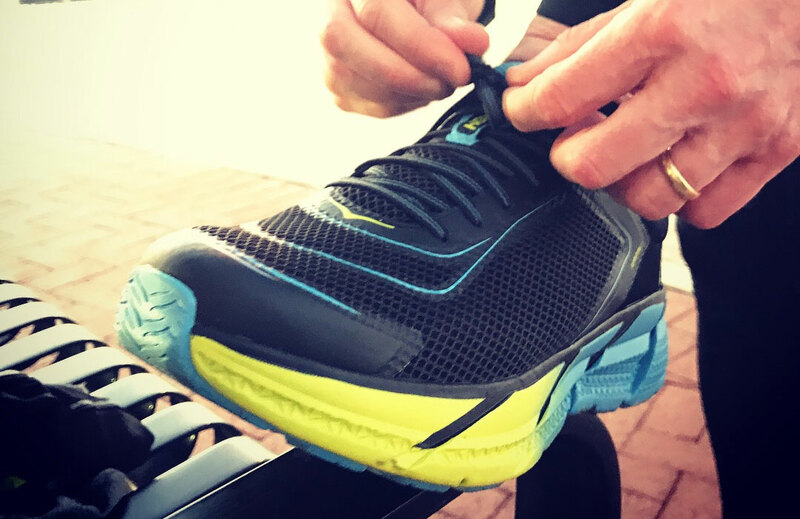 A soft, bouncy ride with a rocker midsole feels great underfoot from mile 1 to mile 20. The upper is the only real differentiator to the Clifton. 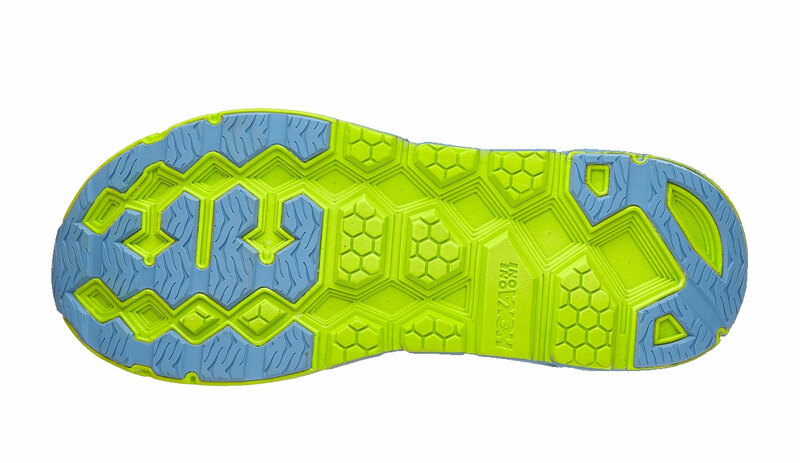 Placement of the overlays changed, but it’s still designed with a breathable mesh. I didn’t notice a difference in the toebox width. They fit my wide feet well. The best part of this shoe? It’s lighter than the Clifton 3. My W7.5 came in a 7.25 oz (Clifton 3 = 7.8oz). WHOOP. Thomas: Because the Napali shares the Clifton 3 foundation, the width and toe box remains the same. If you don’t like the way the vamp of the Clifton fits, skip the Napaili and try that Skechers Ride 7. Thomas: If you are as big a fan of the Clifton as I am, and you were disappointed by the Clifton 4, GET THE NAPALI. 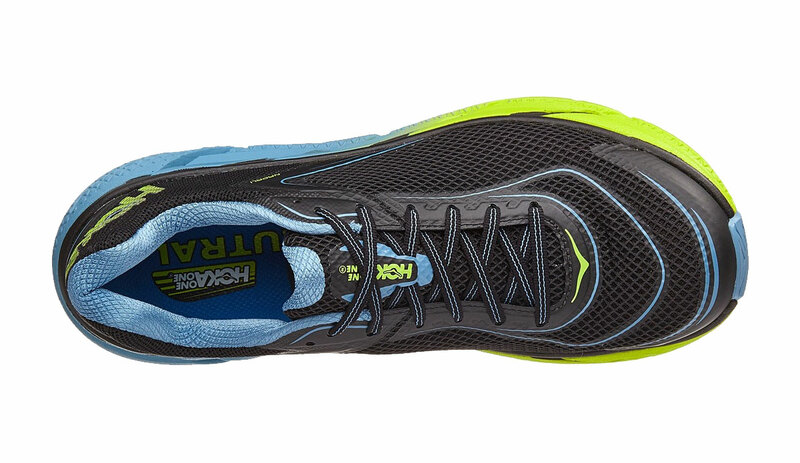 The Napali is a step in the right direction, even if it is a step backward and then it makes HOKA feel funny, so they change the name. Get your feet into these. Meaghan: This is a prettier, skinnier Clifton 3 (sorry not sorry). I love them and I’m constantly lacing these guys up. They look good. They feel good. You should probably buy a pair right now… and I highly recommend the Bluebird/Black colorway. When Thomas mentioned on Youtube you will release a Napali review within the next 48 hours I was constantly checking your Youtube channel for the review until I realized it would be a good idea to have a look at your website. So after reading your very informative review I will definitely buy a pair of Napalis. Thanks for making my decision so easy. Glad we could help. The vid should be up soon. Thanks for checking us out. So compared to the GRR7s what would be the better fit on a higher volume/wider foot? Thank you and keep up the real reviews! Question? Should you size up a half size in the Napali like I have to do with the Clifton? Yes, it is on the same last. I’ve had 5 pairs of Clifton 3s and 6 pairs of Clifton 2s — and I was stressed out hearing all the negative reports on Clifton 4. As each of my 3s started their climb beyond 350 miles I looked to the internet and found your assurances that hope was not lost! 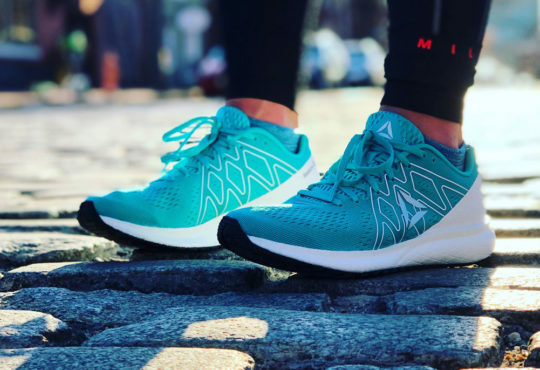 I bought a pair and went for an 18-mile run straight out of the box — after all-day airline travel and four hours of sleep — and it was terrific! These are the real deal and I highly recommend to anyone who felt betrayed by the Clifton 4. Wow! This is the review i was waiting for! Hope this Napali has the same overall feeling than the clifton 3. You will be pleased. Good luck. Where do you magically find these shoes? They aren’t available in Canada and I’ve yet to find them from an reputable online retailer. Help? Thanks for the review. I too was a Clifton 3 freak. Then I bought the 4 and the blisters were immediate and I dismissed the brand. Thanks to your review I have now horde a few pair of Napali for when they decide to screw these up next. I would not have the great run I had today had I not seen your review. great news, keep those miles coming! Thanks for this and all the other reviews. Keep up the great work! As this is kinda a “one off” shoe (a split from the Clifton line & with limited retail options), have you heard of a 2nd version of this shoe coming out in 2019? I’m seeing these on sale at RW now. Thus, they are likely to conclude their production run on this model (if they haven’t already).